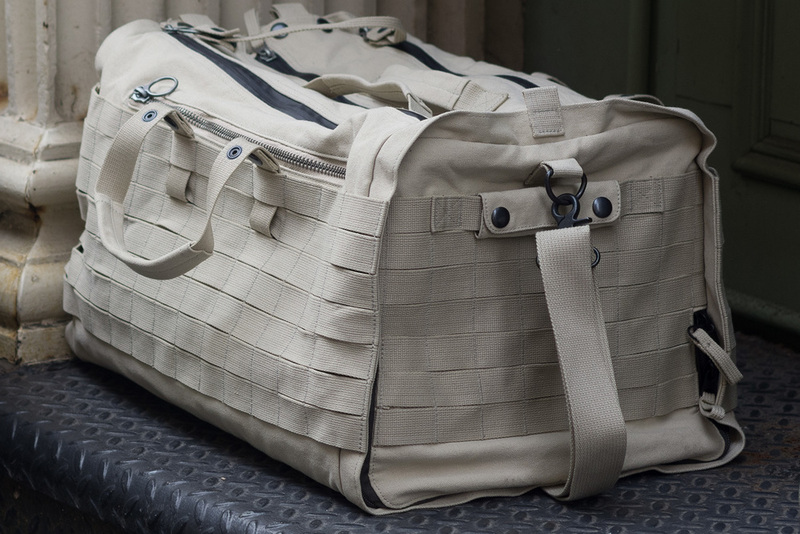 A modern update to the general issue duffel. 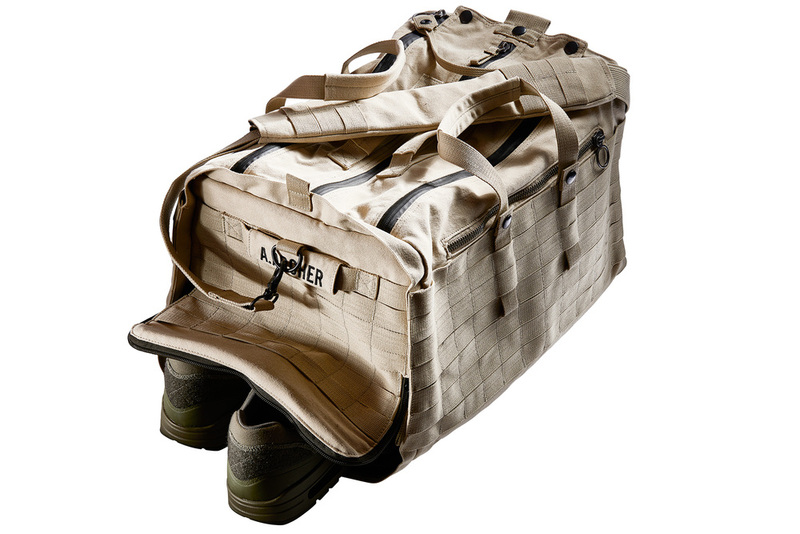 This top-loader has three waterproof zippers for loading and fast access down the center to a neoprene laptop sleeve with it's own waterproof zipper, suspended in the middle of the bag. 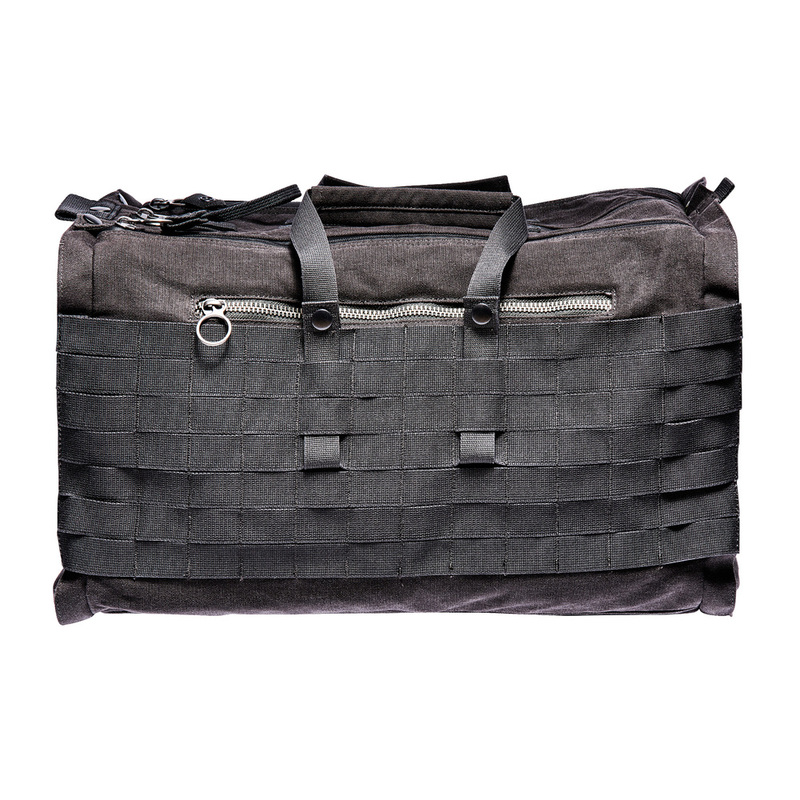 The removable laptop sleeve acts a separator, halving the bag in two for organization as well as securing the laptop from bumps and prying eyes.